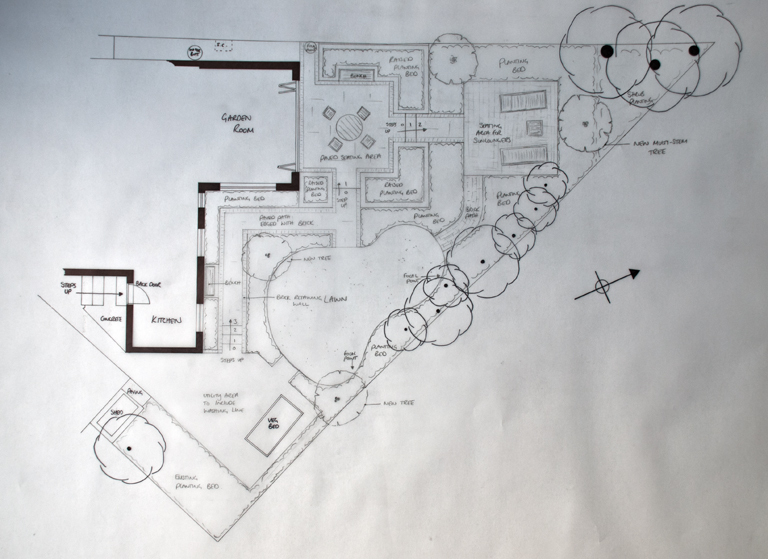 Over the years they have added plants to the garden, but the basic structure and layout hasn’t changed for years. It’s a challenging site because it’s a triangular plot that faces north and because it’s on heavy clay the soil is both wet and difficult to work with. 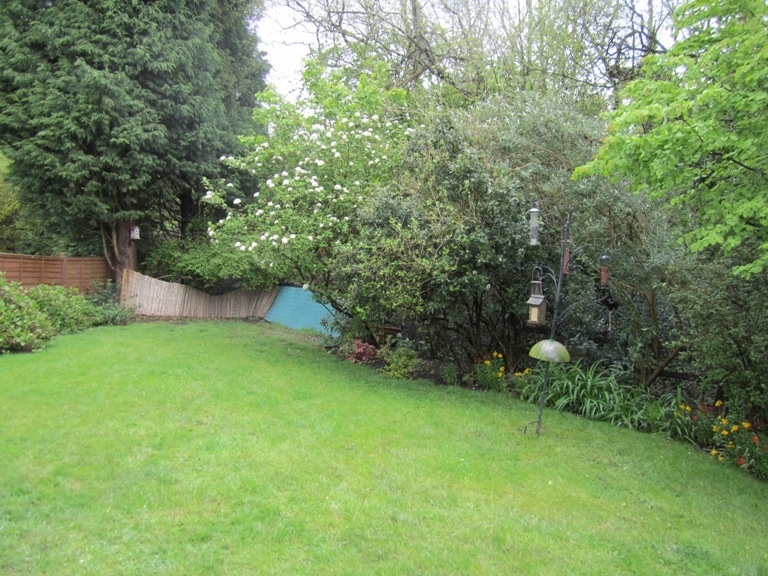 In addition, the site slopes to the side of the house so they are keen to make better use of the space. 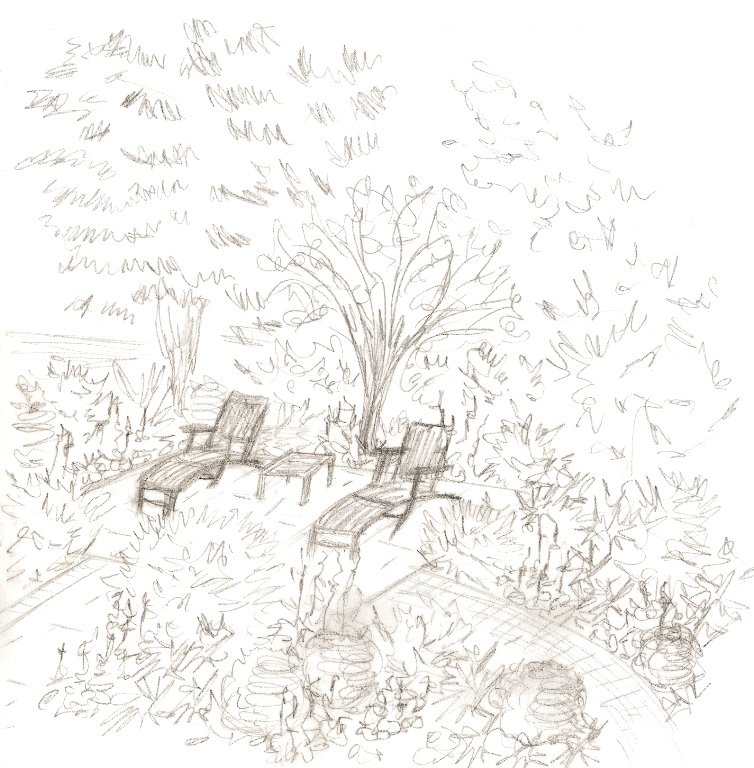 Their decision to stay in the house has facilitated the decision to review the garden and they really want to create a space that feels connected to the house and inspires them to spend time out there in the summer. 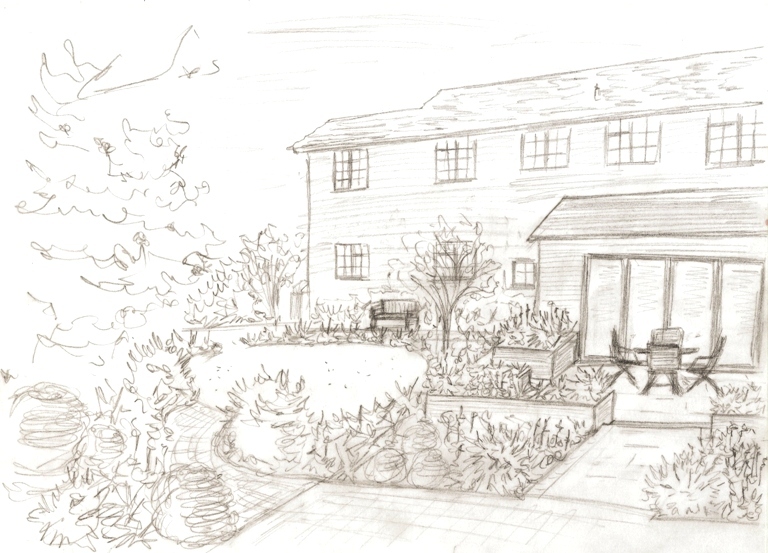 The brief was quite straight forward really, they would like a seating area and raised beds outside the garden room, ideally with some integral seating, and a separate area located in the sunnier part of the garden to accommodate their wooden sun loungers. They would like to maintain some of the lawn but be able to get round most of the garden without having to walk across the grass in winter when it gets really wet. By dividing the garden into a series of rooms, we have managed to create a feeling of space. You will notice that I have ignored the triangular shape of the plot which, once the planting has had time to mature, will become invisible anyway. 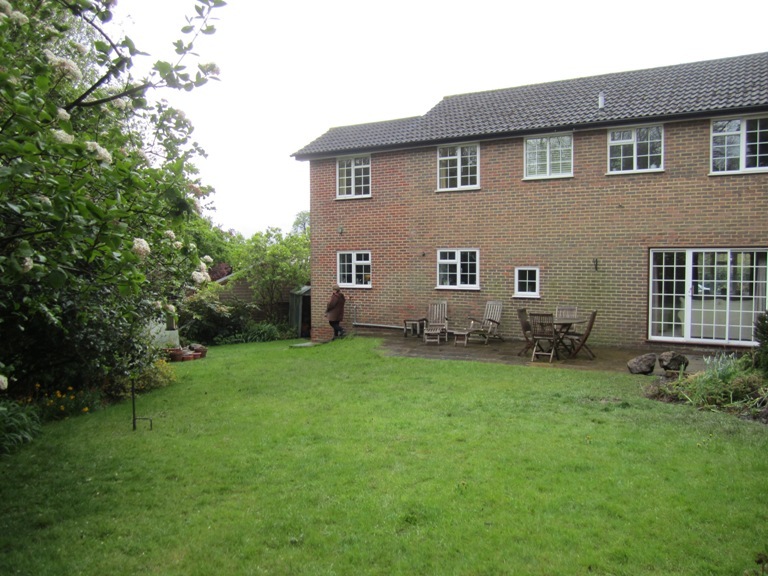 My clients are now feeling very excited about the prospect of their new garden. As I have only been commissioned to produce a concept design, they will be taking the project forward themselves from this point. I will look forward to hearing how they get on along the way and, as they have indicated that they would like some help with the planting, I hope to be able to share some pictures of the finished garden in a few months time. Wow! This looks amazing Lisa. Can’t wait to see it come to life. Thanks Fiona – looking forward to it too…might be a bit of a wait though – house building work will come first!